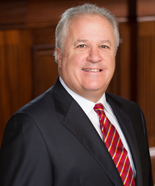 Worcester, MA (August 3, 2016) - Bartholomew & Company, Inc., a premier wealth management firm in Worcester, Massachusetts, today announces that its President, Thomas J. Bartholomew, AIF©, has been named to Forbes’ Top Wealth Advisors list for 2016. The inaugural list will be published in the August 23, 2016, issue of Forbes magazine and is currently featured online at www.forbes.com/top-wealth-advisors. Mr. Bartholomew founded Bartholomew & Company in 1994, following more than two decades of experience in the investment and banking industries. Bartholomew & Company offers a range of comprehensive financial planning services paired with a conservative investment philosophy. The ranking of Forbes’ Top Wealth Advisors is based on an algorithm of qualitative and quantitative data, rating approximately 11,000 advisors with a minimum of seven years of experience and weighing factors like revenue trends, AUM, compliance records, industry experience, and best practices (gathered through telephone and in-person interviews). This recognition is not indicative of the advisor’s future performance. For the full methodology,* developed in partnership with SHOOK Research, please visit www.forbes.com/shook-research-methodology-forbes-top-wealth-advisors.